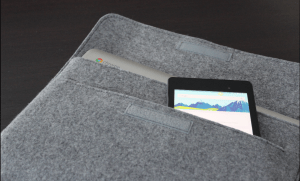 Protect your Chromebook during transportation with a soft and affordable protective sleeve! 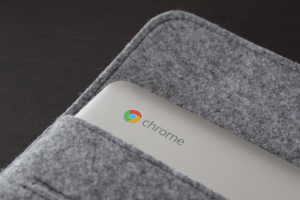 The writing staff at PC4U really love their Chromebooks, that is why we take the necessary measures to protect them whenever we move around. 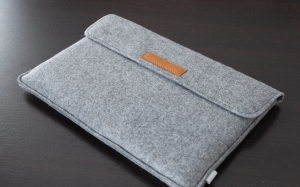 Recently, we had the pleasure of testing the leather sleeve by Noreve, and even though we were convinced by this product’s quality, some of you, our readers, told us that they considered its price to be too high. That is why we went in search of other more affordable protective products. And, guess what? 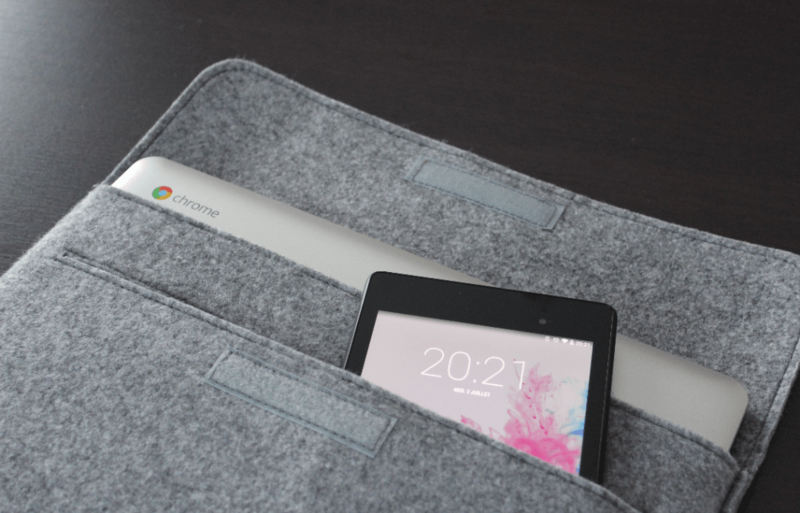 We were able to test one of Inateck’s wool felt sleeves! I’ll tell you right now, this product has a great quality to price ratio. Eco-friendly materials: durable, renewable and biodegradable. 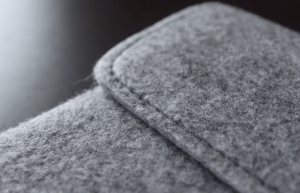 Once removed from the envelope, Inateck’s MP1300 wool felt sleeve impressed us from the start; its light gray color gives it a classic look without being too basic in appearance. The little bit of leather on the front flap and its refined design give it an exquisite appearance. 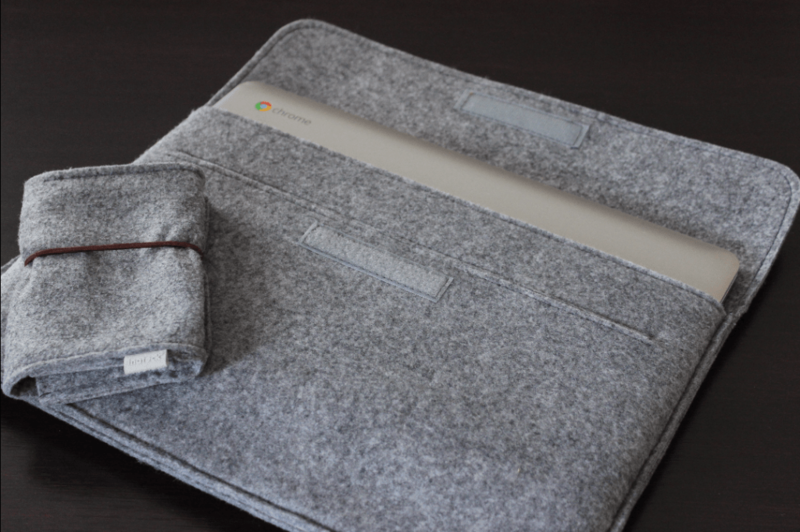 This sleeve will protect your Chromebook from small impacts during transportation, but also from dust thanks to its folding flap. 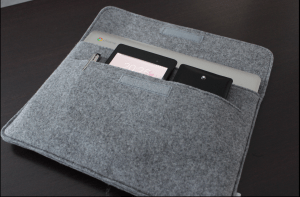 Not only does this sleeve protect your computer, the two flannel pockets at its rear will give you a place to carry your phone, earphones or wallet. 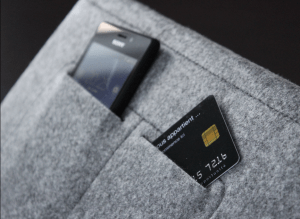 Hidden on its front side, a small pocket also provides enough space to carry a small tablet, a ticket or a card of some kind. 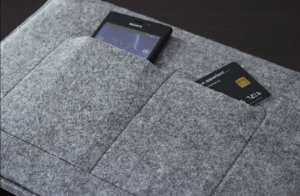 Also protected by the folding flap, anything you keep in this pocket will not be able to move. 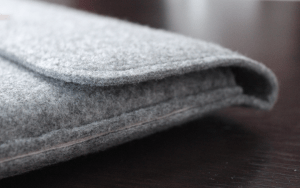 As a final bonus, this manufacturer also offers a small wool felt pocket to transport your mouse. Previous How to connect an ethernet cable to a chromebook?